What would a Mike Pence presidency look like? Journalist Peter Eisner, co-author of The The Shadow President: The Truth About Mike Pence, delves into the vice-president's plan toward becoming the next U.S. president. In the chaos of scandals hitting the Oval Office, U.S. Vice-President Mike Pence has been inconspicuous in Washington — and according to the co-author of The Shadow President, it's all part of the plan to become the next U.S. president. 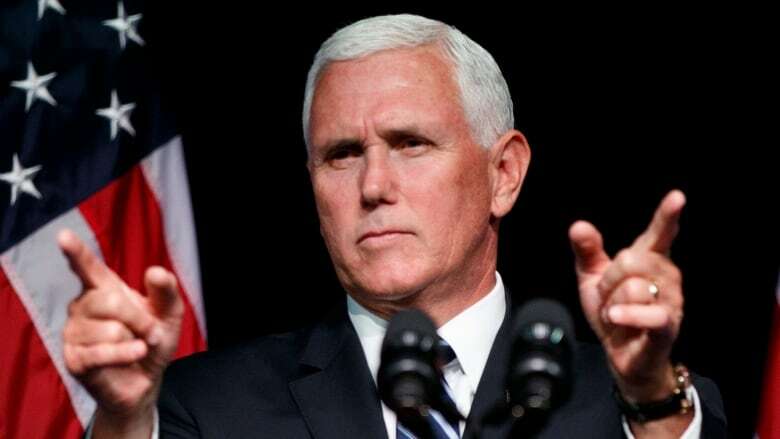 "Pence believes that Trump will be re-elected, serve eight years, and then there is the younger Mike Pence ready to move in," journalist and The Shadow President co-author Peter Eisner told The Current host Anna Maria Tremonti. Eisner said that in the process of writing the book, he and his co-author Michael D'Antonio only had access to Pence's advisers, who confirmed Pence's agenda toward presidency. "So potentially, we could have eight years and then eight years again. 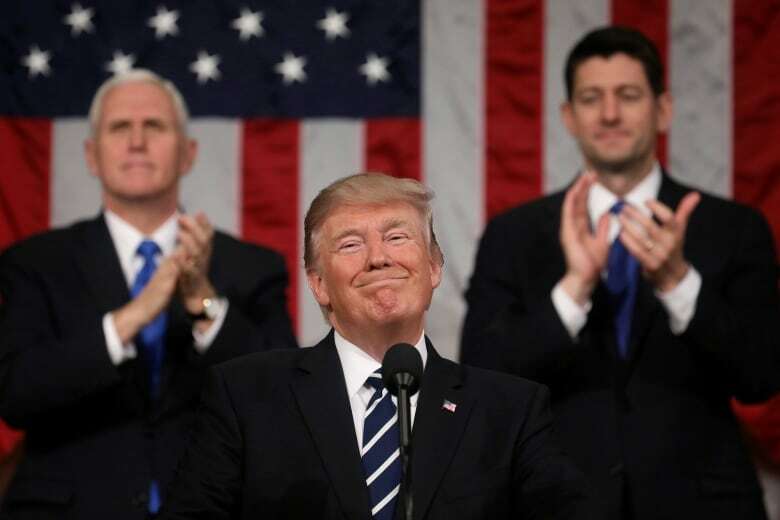 For that matter, should Trump not make it to the end of 2020, you could see more than two terms of Mike Pence." Eisner added that there are no discernible differences between policies in the president's office and the V.P. 's office. Pence's fawning for the president has become a joke on late-night television, said Eisner, but beyond normalizing the president with his public adoration, Pence has acquired a strong base. "[Pence] actually has impacted significant portions of the United States government and is operating in areas that Trump doesn't pay attention to—such as in health care, medicare, Medicaid—which amount to about trillions of dollars and a large portion of the budget," Eisner explained, adding that Pence also plays a large role in choosing judges. Amidst the buzz in Washington over the impending release of Washington Post reporter Bob Woodward's book portraying a dysfunctional out of control White House, Eisner said Pence presents a sense of stability — much of it while keeping a low profile. "He operates under the radar in a very interesting way. He's sometimes in the Oval Office cajoling and gently saying things to the president. And, obviously, he's the only one in the White House that can't be fired." Pence has always been public about his faith, and Eisner says religion plays a key role in his politics. Evangelicals like Mike Pence view Trump "as the Herald to the future," according to Eisner. And for the people of faith who support the U.S. president, as well as in Pence's view, Eisner said, they all believe God has chosen them to be in this moment. 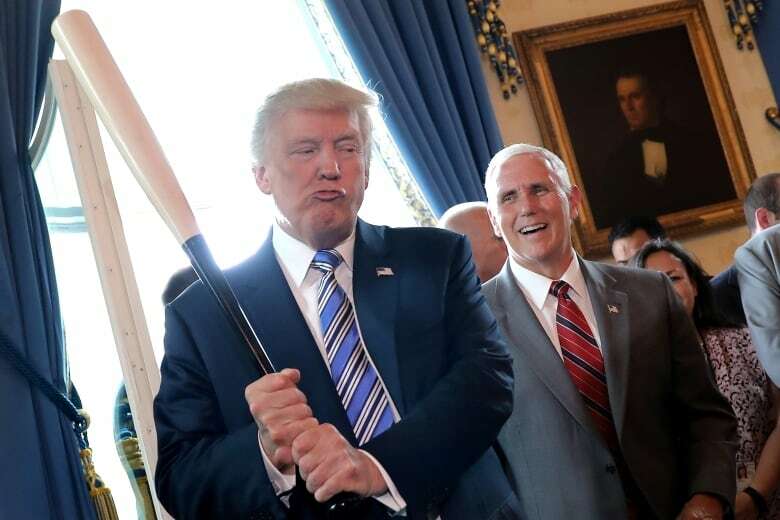 "Trump is part of the plan, and if Trump is part of the plan, then anything he does is acceptable," Eisner said, adding that Pence is obsequious to ensure all goes according to plan, despite sometimes having a different stance on the issue. "Any change that Trump takes and moves in one direction, Pence is right with him." But there are those who do not support the Trump and Pence and their plan moving forward. Conservative Republicans like veteran strategist Steve Schmidt and longtime political commentator George Will have left the party, and are now pushing the Democrat vote. It's a silver lining in Eisner's view, who attributes the election of Trump as a game of 52 card pickup. "Throw it up in the air see how it comes down. What's coming down is that people of conscience in the Republican Party are saying, 'Vote Democrat. Let's have a centrist alternative and let's get away from this craziness,'" Eisner told Tremonti. "That's one of the good parts of this — if we come out of it — we realign things based on such quaint notions as patriotism and decency rather than the chaos that we've seen in Washington instead." Written by Lisa Ayuso. Produced by Howard Goldenthal.